The temperance movement had a major impact on the social and religious life of the town during the nineteenth century. Initially brought to Banbury in 1834 when Samuel Beesley, a Quaker, called a meeting of 15 gentlemen of influence an aggressive stance against alcohol became a mass movement amongst the middle classes and working poor. A Temperance Hall was first set up in Parsons Street in 1842. By 1873 Banbury, a hot bed of tee-totallism boasted this new hall which accommodated the British Workman - an alcohol free pub, an Anglican Sunday School, branches of the YMCA and YWCA and rooms for the meetings and lectures which featured so largely in the movements work. 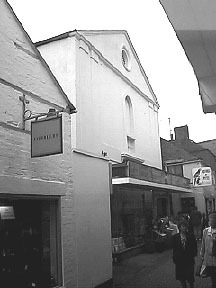 The Market Place was the focus of the towns commercial life in the middle ages. Banburys main cross stood in the north west corner of the market which was surrounded by some of the towns most impressive early buildings. The property once known as the Bishops Lodging is a handsome house of around 1660 which has been allowed to encroach on what was once a much larger open space. A recent addition to the market place is a small plaque let into the paving to mark the site of the medieval High Cross. 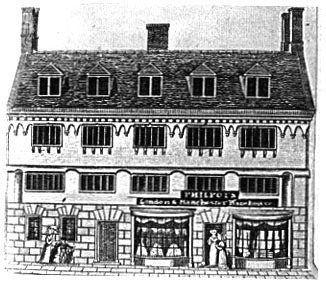 Much of Parsons Street once belonged to the church including the seventeenth century Prebendal House on the corner with the Market Place. This sad survival is one of the towns older places of worship being built by the Wesleyans in 1812. It cost over £2,000 a sum which left the congregation in debt for the next half a century. A prominent member was Richard Edmunds, an ironmonger who was advised to join after being heard to exclaim Hallelujah during services at St. Marys. 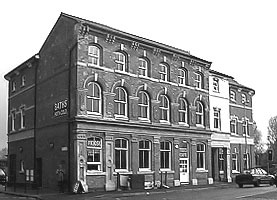 By the second half of the century finances had improved to the point where the congregation were able to build new premises in Marlborough Road . 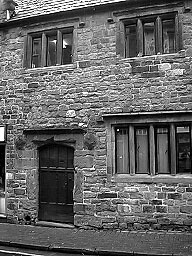 The building was put to a variety of other before its conversion to a shop..